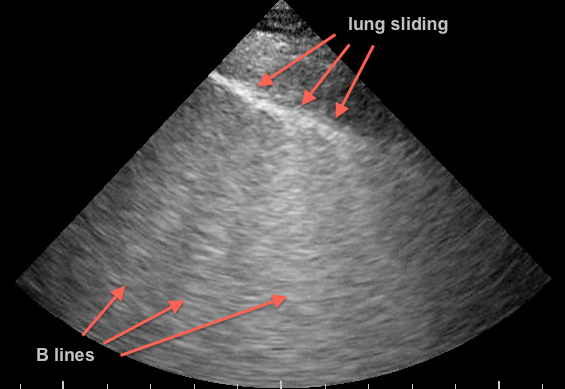 a. lung sliding – this indicates that there is no pneumothorax in the area you are scanning. b. there are B lines – this indicates that there is interstitial edema – this has no etiological information and must be coupled with the rest of the ultrasound and clinical examination to make a diagnosis. It could represent CHF, pneumonia, non-cardiogenic pulmonary edema, or any other interstitial process.